Bell & Ross makes big honking aviator watches that look like jet plane read-outs. 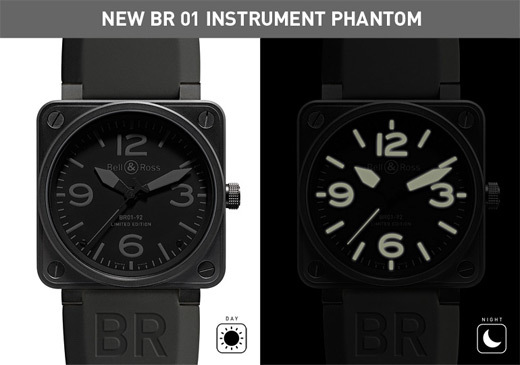 Their latest, the Phantom, has a low visibility face that lights up with lume in the darkness, ensuring your dark ops position will be given away by a watch face that glows like a flashlight. No price or availability but expect it to be in the $4,000-$6,000 range.